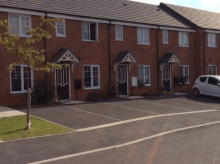 From flats to houses, Blackpool, Fylde or Wyre, MyHomeChoiceFyldeCoast offers a large selection of housing in a variety of areas. With rents much lower than the private sector, renting a property from us means you can cut your housing costs. Almost anyone can apply for social housing, you don’t need to be in receipt of benefits – in fact working households get some priority! Rents are cheaper than in the private sector, no bond is required and your rent is reinvested into improving homes with an excellent repairs service including an out of hours service for emergencies. Welcome to our new Customer Housing Portal. As you can see our webpage has changed, we have a new logo and you now have access to lots of new and exciting features.